This array has total 2*3 = 6 elements. This array has total 2*2*2 = 8 elements. Lets see how to declare, initialize and access Two Dimensional Array elements. 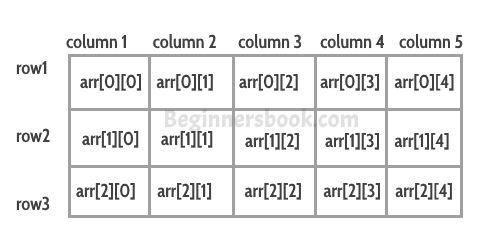 How to declare a two dimensional array? This way of initializing is preferred as you can visualize the rows and columns here. Lets see how to declare, initialize and access Three Dimensional Array elements.